Snow Peak Sake Insulated Stacking Cup. 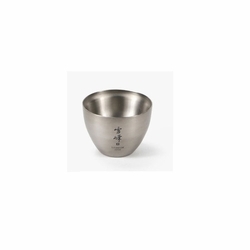 This double-walled saké cup is beautifully designed for both hot and cold saké. The simple elegant shape and pure-grade titanium construction is unmatched by any other titanium manufacturer.